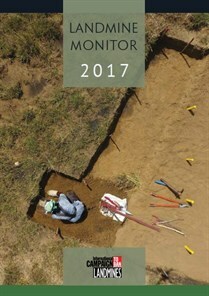 The 2017 Landmine Monitor report will be virtually launched on 14 December 2017. The 2017 report includes updates on the status of compliance to the Mine Ban Treaty, casualties related to landmines and explosive remnants of war, clearance of contaminated land, assistance to mine victims and financial support to mine action. The launch will take place just prior to the Sixteenth Meeting of States Parties to the Mine Ban Treaty to be held in Vienna, Austria, from 18 to 21 December 2017. A briefing on key findings of the report will be held for delegates present at the Sixteenth Meeting of States Parties in Vienna. Landmine and Cluster Munition Monitor (the Monitor), is the innovative civil society research and monitoring arm of the ICBL-CMC and provides the most up-to-date and relevant information on, and assessment of, the international community’s response to the problems caused by cluster munitions, landmines, and other explosive remnants of war. The Monitor has provided this service to the international community since 1998. 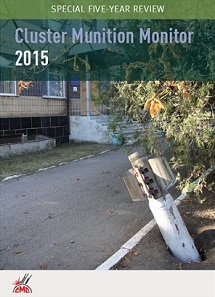 It produces annual online and/or hard copy publications of Cluster Munition Monitor, Landmine Monitor, Major Findings of Cluster Munition Monitor and Landmine Monitor reports, individual country profiles for all countries of the world and the disputed areas, as well as topical and thematic Fact Sheets. It is renowned for its independent and impartial reporting, and its researchers and editors are internationally recognized and unbiased experts. Landmine and Cluster Munition Monitor is an initiative providing research for the International Campaign to Ban Landmines (ICBL) and the Cluster Munition Coalition (CMC). It produces several research products including the annualLandmine Monitor and Cluster Munition Monitorreports, online country profile reports, as well as factsheets and maps. report annually on progress in implementing the treaty. Parties to the treaty include every member of the European Union, every member of NATO (except the US), and other key US allies such as Afghanistan, Australia, Iraq, and Japan. The United States is one of only 35 countries that have not joined the Mine Ban Treaty and the only country in the Western Hemisphere aside from Cuba that has not joined. The US has not used antipersonnel mines since 1991 (in the first Gulf War), has not exported them since 1992, has not produced them since 1997, and is the biggest donor to mine clearance programs around the world. However, it still retains millions of stockpiled antipersonnel mines.  The US has participated as an observer in every meeting of the Mine Ban Treaty since the Second Review Conference in Cartagena, Colombia in December 2009. The US Campaign to Ban Landmines is the US affiliate of the International Campaign to Ban Landmines (ICBL), co-laureate together with former ICBL Coordinator Jody Williams of the 1997 Nobel Peace Prize. YOU CAN HELP….Write a letter to your state and national leaders, give a presentation, host an awareness event, use your talent (music, art, photography) to garner attention to this issue. Start an organization at your school or in your community. Team up with community civil, medical and faith organizations that are interested in global issues. Research the issue. Go to CLUSTER MUNITION COALITION: www.stopclustermunitions.org and THE INTERNATIONAL CAMAPIGN TO BAN LANDMINES: www.icbl.org for ways in which you can help us achieve a mine and cluster bomb free world. In the United States…go to the United States Campaign to Ban Landmines at www.uscbl.org THE TIME IS NOW TO JOIN THE MINE BAN TREATY! The global treaty that bans cluster bombs, formally known as the Convention on Cluster Munitions has been signed by over 100 countries. On AUGUST 1st, 2010, it became binding, international law! WVCBL/PSALM and The Cluster Munition Coalition (CMC) is calling on all governments that have not yet done so to sign and ratify the Convention. The CCM has full legal force and effect as a binding piece of international law: the use, production, transfer of cluster bombs will be illegal and deadlines for destroying stockpiles and clearing contaminated land will start counting down. Since the historic signing of the Convention on Cluster Munitions in Oslo in December 2008, campaigners launched a call on governments to stem the flow of money to producers of these indiscriminate weapons. This CMC campaign is entitled ‘stop explosive investments’. 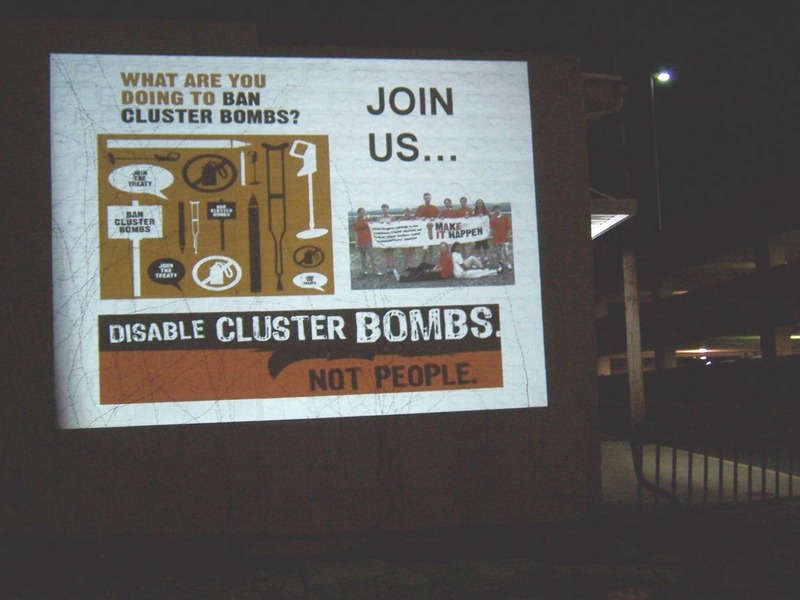 “Governments made history when they signed the cluster bomb ban. Now they need to make it clear that funding the production of cluster bombs is unacceptable and undermines the spirit of the ban,” said the Cluster Munition Coalition (CMC), a global network of non-governmental organizations that spearheaded the successful campaign to ban the weapon. How can you get involved? 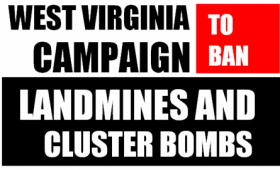 Go to www.stopclustermunitions.org and www.icbl.org for ways in which you can help us achieve a mine and cluster bomb free world. After the Mine Ban Treaty was opened for signature in December 1997, the ICBL consulted with key government, international organizations, and civil society partners. Recognizing the widespread and common need for accurate, systematic, and sustained reporting, in June 1998 Landmine Monitor was created as an initiative of the ICBL to address the reporting needs of the international community with respect to landmines, cluster munitions, and other ERW, and to monitor universalization and implementation of the Mine Ban Treaty. The international community welcomed the move to systematize reporting to provide information necessary to carry out their own work. The first annual report, Landmine Monitor Report 1999: Toward a Mine-Free World, was published the following year, coinciding with the First Meeting of States Parties to the Mine Ban Treaty. Annual reports have since been published each year prior to the respective meeting of States Parties. On 3 December 2008, the Convention on Cluster Munitions was opened for signature. The convention provides a framework to monitor and measure progress in eliminating cluster munitions. In November 2008, the Monitor’s Editorial Board, at the request of the Steering Committee of the Cluster Munition Coalition (CMC), decided to monitor the universalization and implementation of the cluster bomb treaty, in addition to the landmine treaty. The Monitor has always monitored the global ERW situation more broadly including cluster munitions. The Convention on Cluster Munitions provides the Monitor with the opportunity to more specifically report on the cluster bomb problem and hold governments accountable to the treaty’s provisions. The Monitor remains an initiative of the ICBL and, as such, the research and monitoring program of the campaign. The CMC is the ICBL’s sister campaign focused on eliminating cluster munitions and the ICBL is part of the CMC’s leadership. At the CMC’s request, the Monitor has become functionally the CMC’s research and monitoring arm. In 2010 Landmine Monitor changed its name to Landmine and Cluster Munition Monitor to reflect its increased monitoring of the cluster munition issues. Starting in 2010 the Monitor produced three publications: Country Profiles, Landmine Monitor, and Cluster Munition Monitor. Every year the Monitor produced an Annual Report and Executive Summary, in addition to fact sheets and an online version of all research products. 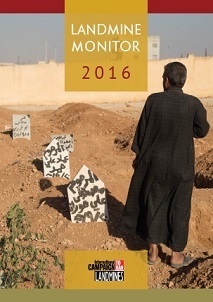 Starting in 2010 the Monitor annually produced Country Profiles, Landmine Monitor, and Cluster Munition Monitor, in addition to fact sheets. This consistent reporting for the past decade has provided a vast body of information used to monitor trends and developments in the global movements to eliminate the suffering caused by landmines, cluster munitions, and other ERW. The Monitor is renowned for its independent and impartial monitoring and has become the de facto monitoring regime for the treaties banning landmines and cluster bombs. The Monitor has gained respect for its work by going beyond the transparency reporting states must provide under the relevant treaties to provide independent reporting and evaluation. How does the Landmine and Cluster Munition Monitor work? The Landmine Monitor network relies on over 70 researchers from around the world. Researchers include journalists, academics, research specialists, and campaigners. Research efforts are coordinated and supported by an Editorial Team comprised of dedicated staff from Mines Action Canada, Action On Armed Violence, Handicap International, Human Rights Watch, and Norwegian People’s Aid. The program is governed by an Editorial Board consisting of members from each of these five organizations. The Monitor’s key target audiences are governments, civil society, and international organizations, as well as media, academics and the general public. raise awareness of the global landmine, cluster bomb, and ERW problems and keep these issues prominent in the public domain to assist in generating the momentum and support needed to sustain mine action efforts.